Attendees at Civil Air Patrol’s 2018 National Conference in Anaheim California were shown a few new, bold moves. One AuxBeacon contributor is concerned that the Christian home-schoolers are being educated against the will of their parents. We understand what you are doing. Can you run this story from us without any edits from you at all? This is a Spaatz Cadet in Anaheim right now who could be leading by a better example? Our comments will have hashtag [redacted] so that you know it is us. Your comments? 16 Comments on "Smith’s Cadet Protégé Dominates in Anaheim"
It looks like Christians have their answer on National support for Homosexuals in Civil Air Patrol. C/Col Holly Fieglein of Texas Wing has been named as the National Cadet Advisory Council Chairperson. Her official term begins October 1, 2018. Here in [redacted] Wisconsin, we Germans refer to someone as a Flegel for their loud, troublesome, antisocial lack of manners and other inappropriate behavior. Flegelein would be the diminutive version of Flegel. What a can of worms! Although I suppose the two issues are technically unrelated, Cadet Colonel Feiglein could not have picked a worse public relations time to broach this topic with the Catholic priests in the news again. Is this part of some master plan to drive out all the Christian fundamentalists and their little home-schooled brats? OR are Civil Air Patrol cadets really going to break the news to these people that there is no Santy Claus? Are the members ready for this? I doubt it. I for one think it absolutely fabulous that Maj Gen Mark E. Smith, an onliner Ed.D graduate of Olivet Nazarene University would be able to achieve this commentary with his choices to lead the Civil Air Patrol Cadet Advisory Council. I had more fun at Disneyland than the CAP Conference in Anaheim. The recent aviation accidents appear to be taking a toll on the vision for Civil Air Patrol future. If you like nerdy STEM (Science, Tech, Engr, Math) related projects, this national conference was for you. But the truth is, there are plenty of STEM schools outside of the CAP that can do a much better job at this. I agree with Holly Fieglein that conference award ceremonies are too long. We can’t stand this conference so we are going to Disney instead. Yay! Texas cadets lead the way…. Vlogging Spaatzians, Spaatzians having children out of wedlock, Spaatzians committing murders… Anyone see a common thread or three???? This is a good example of Texas Wing leadership. Could the recent mass exodus (director, deputy director, and a few others without warning) from wing cadet programs be connected somehow? 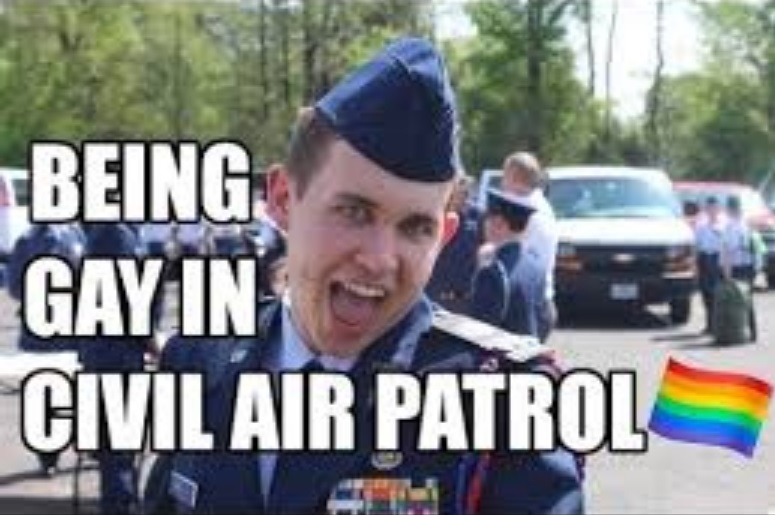 Why is Holly allowed to do her August 17th 2018 video “Being Gay in Civil Air Patrol” using a cadet in characteristic pose while wearing the Civil Air Patrol uniform for the cover shot when Joe Basrawi cannot use the uniform to show his credibility in supporting Turning Point USA? Also, another in our group wants to ask why did AuxBeacon object to Larry Julian’s memes but not to those of Skip Munger’s on his page? We will be reviewing and releasing other comments we have received on this and other stories during the national conference and over the weekend. 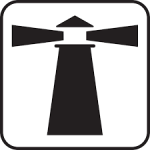 We answer your second question first. When Skip Munger was posting those memes, he was NOT a member of Civil Air Patrol and he was NOT wearing the Civil Air Patrol Air Force style uniform or using the Civil Air Patrol logos. The answer to your first question comes from the information c/Col Fieglein wisely provided in the YouTube video description and comments. The official policy of the Civil Air Patrol organization and United States Law is to not discriminate against LGBTQ members. Therefore, the observations of cadets are relevant to that Civil Air Patrol policy. Maj Gen Mark Smith and CAP National may or may not have authorized this video or the cover photo, but this is Holly’s decision and she appears to understand the potential risk of fallout to her. Your view of homosexuality as an amoral life style choice rather than one based on genetics is misled. Your understanding of morality is coming from one civilization’s ancient 2300-2600 year old texts, the true origins of which you will soon have the opportunity to research as an adult because of service member sacrifices and the laws of the nation in which you live. I don’t know where they or you will go with this, but I do have a question before anyone else jumps in. Why is it acceptable for her and her friends to use the Civil Air Patrol uniform to discuss being Gay in Civil Air Patrol while Bas cannot wear his uniform to reinforce his support for Turning Point USA and the Hebrew laws against homosexuality? Smith’s Protege – C/Col Holly Fieglein of Texas Wing is proud to serve on the National Cadet Advisory Council as the Vice Chair. As a member of Civil Air Patrol for five years she has attended 9 Encampment in 5 different wings in positions from Flight Sergeant to Cadet Commander. She has also been active in Texas Wing staffing their leadership schools. She is a member of Houston’s Thunderbird Composite Squadron where she has served at every echelon. Fieglein graduated from National Emergency Services Academy’s, Wilderness Advanced First Aid and Advanced Ground Search and Rescue School in 2015, Cadet Officer School in 2016 and attended the International Air Cadet Exchange to Canada in 2017. Holly loves working with all of the NCAC and National Staff to make a real impact for cadets across the nation.